Manufactured in Allemagne from 1963 until 0. Obergassner is not a manufacturer, but a distributer, of which all the cameras are called Oga whatever the model or the manufacturer of origin. This model is distinguished from the other OGA by the shape of the button of release. It is equipped with a not coupled cell. 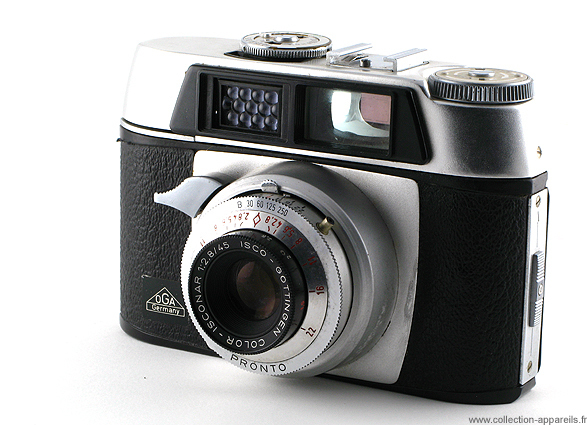 The lens Isco “Color-Isconar” is found on many cheap German manufacture of the first part of the Sixties. Mc Keown determines that it is about Franka Francolor L.